Adding to this site’s archived posts addressing safety studies in combative sports, an importation study was published in the Annals of Neurology this month finding that traumatic brain injury likely causes accelerated atrophy “aging” the brain by an average of over four years. In the recent study conducted by James H. Cole, PhD, Robert Leech, PhD, and David J. Sharp, PhD, the researchers were able to accurately predict brain age based on MRI data. The same brain age calculating methods were then applied to MRI’s from patients who suffered traumatic brain injuries. The data set included 99 patients with persistent neurological problems after suffering a traumatic brain injury. The cause of injury included a variety of mechanisms including sports injuries, vehicle collisions, assaults among others. 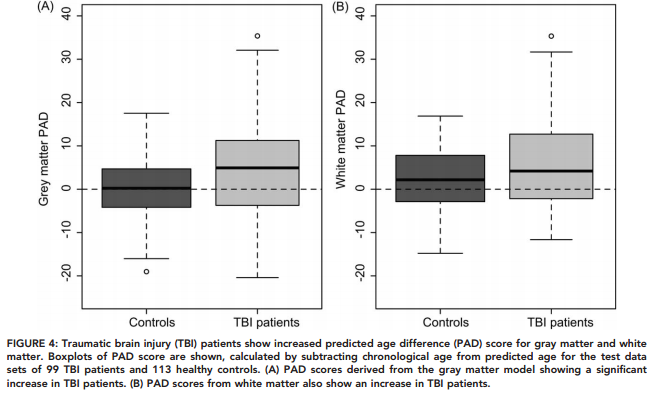 The study found, regardless of the cause of injury, the patients who suffered a traumatic brain injury had accelerated brain atrophy making their brains appear 4.66 years older than their actual age. 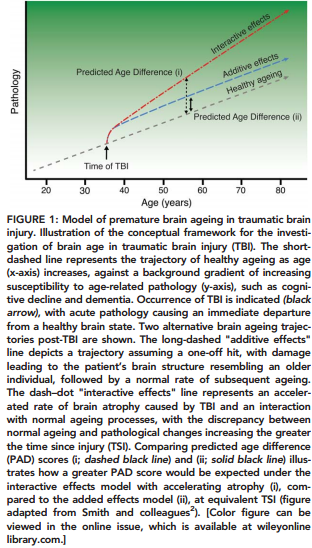 The severity of brain injury correlated to the severity of ‘aging’ with more profound brain injuries leading to greater brain atrophy. I am very pleased to know that folks are paying more attention to the fact that brain is a life altering injury .Speaking from experience.If one survives the injury, the road ahead will require many serious adjustments and losses mount in all areas of one’s life.Thanks for this posting.Irene.